A final renewal day is September 22, 2003. Corduliidae with the record in Kinki area are seven kinds. I haven't collected Macromia yet. I observed Epophthalmia elegans, Somatochlora viridiaenea and Somatochlora clavata in 2001 by using the egg that a friend collected it. 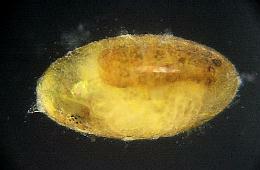 How to obtaining eggs : The female of Epitheca marginata ejects a large mass of eggs. Then, a female puts that egg on the water plant. Those eggs become the string-shaped which is whitish soon. That is collected. 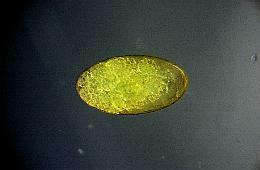 As for Somatochlora, an egg is discharged when valvula valvae of the collected female is soaked in water. 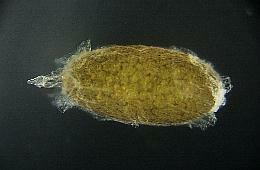 It doesn't lay eggs easily with Epophthalmia elegans, Macromia amphigena amphigena and Macromia daimoji in this method. Therefore, the female which lays eggs is collected, and the egg left in valvula valvae is collected. Size: Right after laying; head diameter; 0.51mm, a short diameter 0.26mm. Just before hatching; head diameter 0.58mm, a short diameter; 0.30mm. Duration of egg : The shortest duration; 8days. Average duration; 13days. 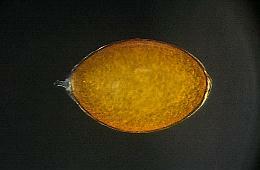 It is a little egg in Corduliidae. 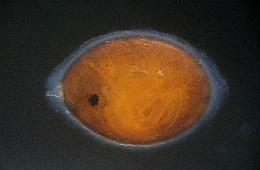 Flight period is comparatively long, and durations of egg changes in temperature (water temperature) very much, too. The shortest durations was five days at August. 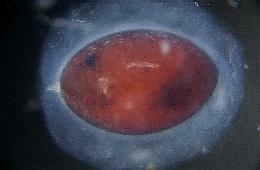 Gelatine material is removed in the photograph though there is much gelatine material which surrounds an egg. Size: Right after laying; head diameter; 0.64mm, a short diameter 0.46mm. Just before hatching; head diameter 0.68mm, a short diameter; 0.50mm. 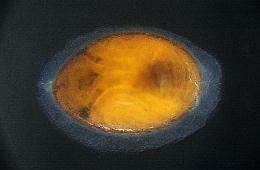 Duration of egg :　The shortest duration; 18days. Average duration; 36days. Size: Right after laying; head diameter; 0.64mm, a short diameter 0.43mm. 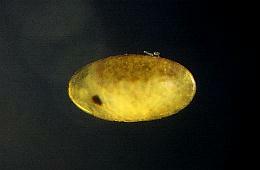 Just before hatching; head diameter 0.66mm, a short diameter; 0.47mm. 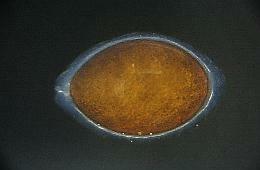 Duration of egg : The shortest duration; 50days. Average duration; 223days. Size: Right after laying; head diameter; 0.65mm, a short diameter 0.42mm. Just before hatching; head diameter 0.69mm, a short diameter; 0.48mm. Duration of egg : The shortest duration; 19days. Average duration; 22days. Size: Right after laying; head diameter; 0.73mm, a short diameter 0.36mm. Just before hatching; head diameter 0.87mm, a short diameter; 0.44mm. 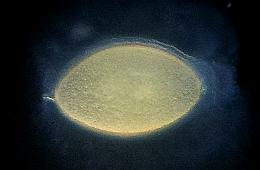 Duration of egg : The shortest duration; 11days. Average duration; 15days.